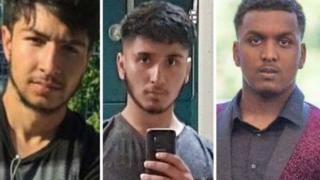 A West Midlands Police boss has declared knife crime "an emergency" after three teens were stabbed to death within 12 days in Birmingham. 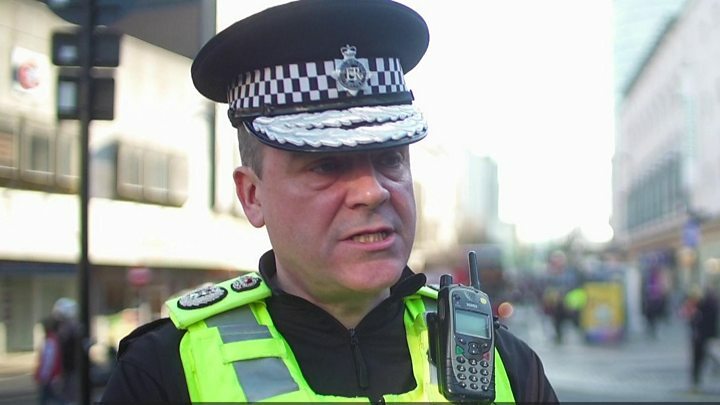 Chief Constable Dave Thompson said stop and searches would be stepped up and more officers would patrol the streets amid the "crisis". Mr Thompson, who was with Police and Crime Commissioner David Jamieson outside the scene of a teen stabbing at a charity shop in Birmingham, pledged extra patrols with additional officers in certain areas. He said: "Immediate and intensive action is needed to prevent this current crisis from continuing. My officers have been given extensive powers to search people without the need to suspect they are carrying weapons. "I recognise this will upset some innocent young people, but I fear the carriage of weapons in the current environment is growing, often through fear, and we can take no chances. "For our young people, their families and communities we need to stop this emergency quickly. Without specific areas or people to target that means blunt action to prevent violence." Hazrat Umar, 18, was stabbed to death in the Bordesley Green area of Birmingham on Monday. Mr Umar was a relative of the former chief prosecutor for North West England Nazir Afzal. Mr Afzal said: "I don't want any other family having to experience what our family has." It follows the stab deaths of Abdullah Muhammad, 16, in Small Heath on 20 February and Sidali Mohamed, 16, who was attacked outside Joseph Chamberlain College in Highgate, on 13 February. On Tuesday, police were also called after a 16-year-old boy was stabbed in the leg near a British Heart Foundation shop in Bull Street, Birmingham, at 17.30 GMT. Officers vowed to leave "no stone unturned" after the teenager was taken to hospital and is in a "stable condition". No arrests have been made. A man, 29, suffered serious stab injuries to his arm, near to Aston Street, Birmingham, just after 14.30 GMT and was taken to hospital on Wednesday. And on Saturday, Gary Cunningham, 29, was found with fatal stab injuries at a flat in Harborne. Mr Jamieson added: "We need the support of local communities to stop this violence. It is not a job the police can do alone and they can't simply arrest their way out of this problem." Det Chf Superintendent Mark Payne, from the West Midlands Police homicide team, said that while investigators are doing all they can to find the killers, they need help from parents and teachers to turn the tide against knife crime. "Knife crime and violence is not an issue we can tackle on our own. We need help from partners, parents, schools and the wider community to tackle this growing issue," he said. In 2018 there were 19 stabbing fatalities - all under the age of 25 - in the West Midlands. There have been 17 homicides in London so far this year, six of which happened in nine days. On Tuesday alone five people were stabbed - four of whom were attacked in less than eight hours and one who died. In the 12 months leading up to March 2018, a quarter of all knife crime victims were men aged 18-24. Patrick Green, from the Ben Kinsella Trust - a charity which campaigns against knife crime - said "nobody is doing enough" to stop it. "If lessons are to be learned we really to get behind not just the enforcement element but also to make sure that the next group of young people don't carry the same attitude that a knife will protect them," he said. West Midlands Police saw a 72% rise in knife crime between April 2013 and the year ending March 2018, Office for National Statistics (ONS) analysis shows. Across England and Wales there were 285 killings by a knife or sharp instrument in the 12 months ending March 2018, the highest since records began in 1946.